Capturing the culture and vision of a company through a well-articulated corporate citizenship strategy is not only important for maintaining a competitive advantage; it also generates values with broad impacts within and beyond the business. 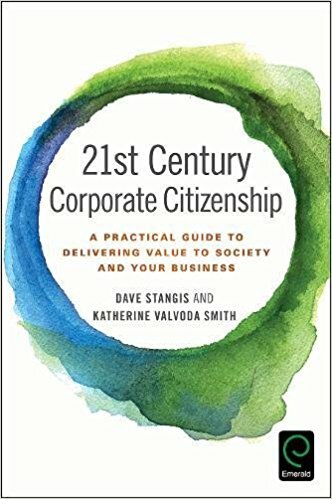 The following excerpt is from 21st Century Corporate Citizenship by Dave Stangis and Katherine Valvoda Smith, an essential guide for developing a successful strategy to align profit with social and environmental goals. You’d think, given the statistics above, that every company would be implementing citizenship programs that connect to their business strategy. But as you’ve probably already discovered, there are many reasons why this doesn’t happen. Much of this has to do with a lack of understanding about the true benefits that can be gained for both business and society. Moral appeal: “corporate citizenship should not be about benefiting the company; it should be about the company doing the right thing.” This is a purely charitable motivation, and of course there’s nothing wrong with it except that programs created with this aim are at risk of being seen as “extra” because they have no connection to the firm’s purpose or strategy. License to operate: if you’re only considering what your community and stakeholders think about you right now, you’re defining yourself by where you are today and not where you intend to be in the future. Reputation management: this confuses social, environmental, and business results with PR. Though there are clearly reputational benefits to good corporate citizenship, focusing purely on reputation leaves on the table other opportunities to create value. You can see how these rationales don’t include any real business reasoning, thereby laying these companies’ programs open to executive or customer whims. They focus on the tension between business and society, rather than on their interdependence. Relying on generic rationales that aren’t tied to the specific strategy of the company, they’re not sufficient to help identify, prioritize, and address the social issues that matter most. The more logically connected your corporate citizenship priorities are to your company’s strategy, the more authentic and credible your program will be perceived to be by stakeholders of all types. The more logically connected your corporate citizenship priorities are to your company’s strategy, the more authentic and credible your program will be perceived to be by stakeholders of all types — customers, employees, shareholders, and community members — and the more value both your company and society will derive from the investment. Research also shows that when corporate citizenship is aligned with a company’s strategy and core capabilities, the company is likely to stick with its investment for much longer and the program will be seen as more credible. This mutually reinforcing loop is a virtuous circle that creates not only a favorable business context, but also the world in which we want to live. Persuade everyone from your CEO to your co-workers to line manufacturing staff why corporate citizenship is essential to building competitive differentiation in all businesses today. Find ways to help executives understand the value of corporate citizenship, so they’ll want to help drive your corporate citizenship strategy. Make changes that stick, instead of reinventing the wheel time and again. Prove your worth so you’re valued for the benefits you bring to your company. Become one of the most influential and respected managers in your business. When you speak, others listen. Does this sound like a pipe dream? Believe us, it’s not. We both have decades of experience in corporate citizenship, and come at it with complementary backgrounds. You’ll be getting the benefit of more than 50 years of practical experience implementing programs and driving lasting change in real businesses, as well as industry-leading research. Between us, we’ve worked with dozens of companies struggling with the same issues you confront and conducted research involving hundreds more. Through this work, we’ve observed the key factors for delivering value to your company without wasting valuable time and energy. In corporate citizenship, you’re always trying to change things for the better. That’s what makes your role so inspiring, but also so challenging. Pretty much all of your arenas involve someone else’s job. Want to encourage employees to get involved with your local community? That’s HR. Want to reduce the weight of your product packaging to save on transportation pollution? That’s product design and distribution. Want to improve the way you report on your activities so your company is considered more transparent and trustworthy by investors? That’s finance, communications, and investor relations. You can’t do it on your own, so you need to build influence, credibility, and respect at every level throughout the organization. This has never been easy or quick, but you’ll find it a lot less onerous with the help of this book. Integrating your corporate citizenship strategy with the vision and strategy of the company you work in will make your life easier and create the basis for long-term success. We’ll show you how to develop credibility so you can enlist people to help implement your program. Soon they’ll even be knocking at your door for advice on how to get involved. You’ll also raise the bar and achieve a lot more than you’d ever have dreamed of. In time, you’ll have turned your company from an “also-ran” to a leader in the marketplace. Integrating your corporate citizenship strategy with the vision and strategy of the company you work in will make your life easier and create the basis for long-term success. It all comes down to one thing: you should not expect your company leaders to invest in corporate citizenship out of the goodness of their hearts. They invest in ideas and strategies because they make business sense. By tapping into that way of thinking, by acknowledging that the way for your work to be valued is for it to add value to the business, you can make all the changes you need without compromising your longer term vision. There are many books about corporate citizenship, but none like this one. This is a practitioner’s handbook, a how-to book, a guide. It’s the book that tells you, the corporate citizenship manager and leader, how to navigate your company’s waters with a step-by-step map. From creating your corporate citizenship vision and strategy, to working with the different functions of your company, to promoting and reporting on your achievements so you build the authority you need to do it all over again — it’s all here. 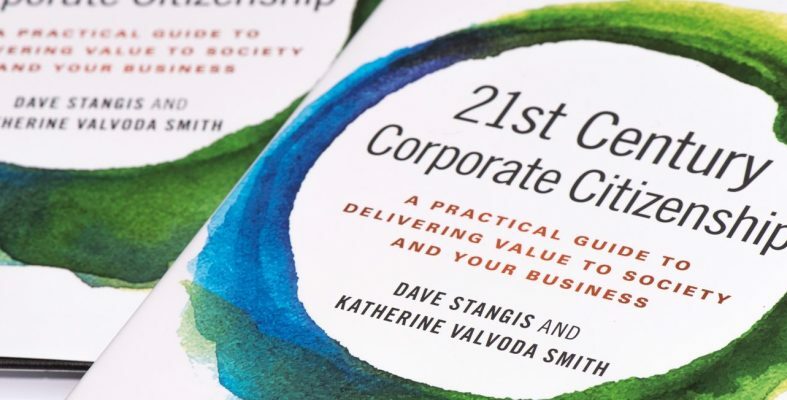 This is an excerpt of a chapter from the newly released book, 21st-Century Corporate Citizenship (Emerald Insight, 2017), by Dave Stangis, Chief Sustainability Officer and VP of Corporate Responsibility at Campbell Soup Company; and Katherine Valvoda Smith, Executive Director of the Center for Corporate Citizenship Carroll School of Management at Boston College. 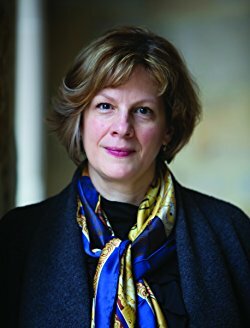 Katherine Valvoda Smith is Executive Director of the Boston College Center for Corporate Citizenship in the Carroll School of Management. She oversees all the center’s activities and strategic ventures, and teaches “Managing Business in Society” in the Carroll School of Management MBA program. The purpose of the center is to help corporate citizenship professionals know more, do more, and achieve more with their corporate citizenship investments by understanding the foundations of how companies create good in the world and add value to their businesses through their environmental, social, and governance (ESG) investments. The center has conducted research about the practice of corporate citizenship for more than 30 years, developing the deep knowledge and insights that help corporate citizenship professionals manage and improve performance in the ESG dimensions of their companies.